Nobody makes films quite like Stephen Chow. This, following last year’s toe-in-the-water distribution of Shaolin Soccer, is the biggest release to date from a director-actor-writer-producer who mixes imaginative martial arts combat with broad comedy, and finds a balance somewhere between the po-faced art of Hero and the gurning slapstick of Jackie Chan. 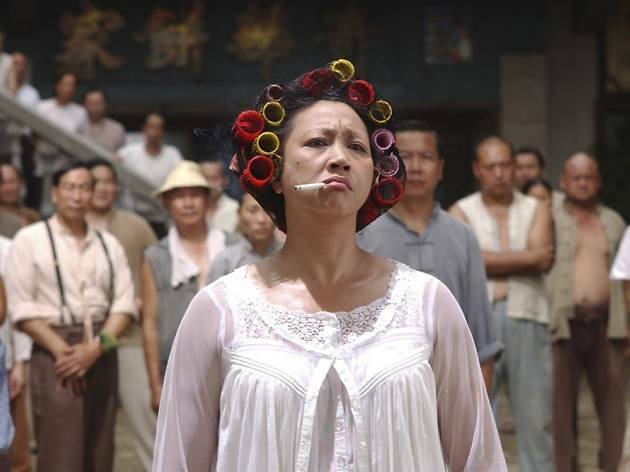 A legend in Hong Kong, with more than 60 films under his belt as an actor and another half-dozen as director, Chow doesn’t waste time on subtleties like plot: Kung Fu Hustle is pretty much an extended fight between the evil Axe Gang and a community of peasants who unwittingly harbour a trio of martial arts legends, with Chow’s own hapless character caught in the middle. He focuses his prodigious energy on action, gags and pop-culture references, the latter ranging from Busby Berkeley musicals to Chuck Jones cartoons. The borrowings are many and creative: the opening sequence starts like a Western, settles into a Cagney-meets-yakuza groove, taps a Gangs of New York vein and ends with tap-dancing, axe-wielding gangsters reminiscent of Zatoichi. He’s also constantly referencing classic kung fu movies, and many of his leads are played by some of the genre’s greatest practitioners, coaxed out of retirement by Chow. The fight scenes they’re asked to perform are at once ludicrious and audacious – how else to describe the move in which a man transforms himself into a giant kung fu bullfrog? It’s a breathtaking ride, as close to the spirit of cartoon as live-action cinema can get without descending into outright buffoonery. It’s also refreshingly uncynical – Tarantino without the sneer – and extremely funny. 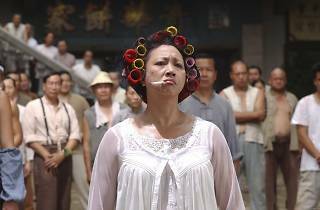 Number 87 on Time Out Hong Kong’s 100 Greatest Hong Kong Films list. See the full list.